Nergal’s narrow escape from the clutches of death gave us The Satanist, Behemoth’s dark and defiant magnum opus. Tomas Lindberg talks death metal and their upcoming album, To Drink From The Night Itself. 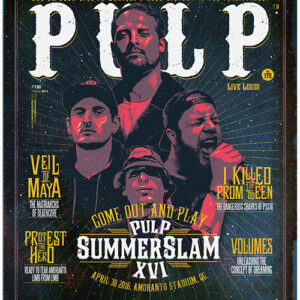 Another PULP SUMMER SLAM comeback we’ve all been waiting for. The Manila stop of the Cryptoriana World Tour is fast-approaching! 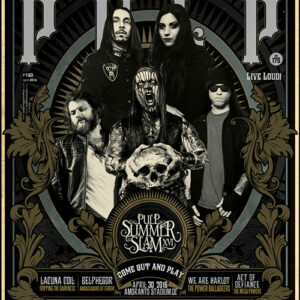 The PULP SUMMER SLAM veterans return! We’re so pumped for the homecoming of our brothers in Death Angel! Groove metal from Ukraine, tech-death from Dubai, and metalcore from Japan. Pick your poison. The metalcore bratpack are coming to the Slam to give you your biggest hangover yet. The Thrash Metal Gods bow out with their first (and possibly final) show in Manila. We look back with broken necks at this mind-blowing night. 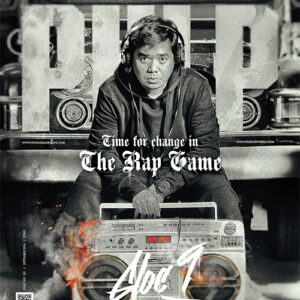 We remember two shows that will go down in history: a powerful night of emo nostalgia, and the last time Manila got to see the late, great Pat Torpey.